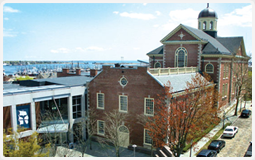 Massachusetts real estate attorney Brian M. Glover represents buyers, sellers and lenders in residential real estate transactions in New Bedford, Acushnet, Dartmouth, Fairhaven and throughout Bristol and Plymouth counties. For many people, the purchase of a home is the most significant investment they will make in their lifetime. The law recognizes the importance of this transaction and provides a host of laws and regulations that parties must follow to make sure that clear title is conveyed along with all the rights to the property which are intended in the transfer. Real estate transactions are therefore very complex and involve multiple steps, and a mistake at any step along the way can prevent the purchase or sale from going through or result in important rights and protections being overlooked. This can be not only destructive financially but also emotionally devastating to the parties involved. Is your mortgage upside down or under water? If you can no longer afford your monthly mortgage payments, and you owe more on the mortgage than the home is worth, Brian M. Glover may be able to help you secure a loan modification or negotiate a short sale with the bank. If you are a senior citizen with equity in your home and the need to access some of that equity for living expenses or to make a major purchase, Brian M. Glover can advise and assist you in the process for a reverse mortgage. Buyers invest a great deal of time and effort in finding just the right property, while sellers spend just as much time and often a great deal of money making their property as attractive for sale as possible. Lenders for their part go to great lengths to qualify buyers and make sure every aspect of the transaction is in order. Nobody wants a good deal to fall through because an inspection wasn’t performed, an easement wasn’t properly understood, or some other legal requirement was not met. For advice and representation in a residential real estate transaction in New Bedford and surrounding areas, contact Brian M. Glover, PC for a free consultation.